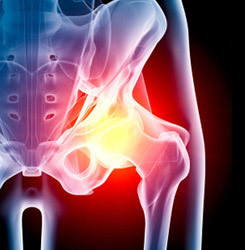 Question: Which DePuy hip replacement systems were recalled? Answer: DePuy ASR XL Acetabular and DePuy ASR Hip resurfacing systems. Question: When would the surgeries involving the defective hip replacement system have occurred? Answer: This DePuy system was manufactured in 2003 and approved for use in 2005. 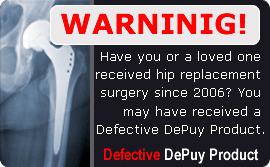 So if you received an artificial hip implant between 2005/2006 to 2010, you may have received a defective DePuy hip replacement. Question: How do I know if I have a recalled DePuy implant? Answer: You can contact your medical doctors office or retrieve your medical records from the hospital where you received your artificial hip implant surgery. Question: Will I need another surgery? Answer: If you have experienced problems with your DePuy artificial hip, you may require a second surgery to have the implant removed. Even if you are asymptomatic, you should still be evaluated by your medical doctor because of the statute of limitations. Question: Do I need a lawyer if DePuy has offered to pay my medical bills? Answer: Yes. DePuy’s offer to pay medical bills will not pay for your damages. DePuy will not compensate you for your lost wages, your pain and suffering or your future medical needs. What Does the Law Allow For Me? The law provides compensation to you for medical treatment, your lost wages, the total value of your future medical needs, as well as pain and suffering and other damages. Question: I have been asked to sign a release, should I sign it? Answer: You should not sign any document that releases DePuy from liability. You should contact an attorney immediately to protect your legal rights. You should make sure all of your questions are answered before you consider signing anything. If you sign something without having your questions answered, you may be signing all of your legal rights away. Question: How much time do I have to file my claim? Answer: There is a statute of limitations that affects each claim. 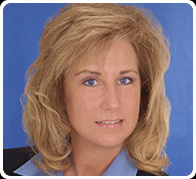 A DePuy lawsuit attorney can assist you in determining your statute of limitations. If you have questions about your statute of limitations call our office to make sure all of your questions are answered before you waive any of the rights you may have. Always make sure all of your questions are anwered before signing any forms.